When it comes to purchasing a second hand or used car, the buyer always has to beware. Until you actually take the vehicle home, you don’t really know if you have bough a lemon or a reliable, solid car. That being said, there are a few things that you can keep your eyes open for that will alert you when a vehicle you are considering might be too much of a risk. It is actually possible to be able to spot a lemon BEFORE you purchase it if you know what to look for. Here are a few of those things. When it comes to taking a look at a used car, you need to use every one of your sense. Never just depend on what your eyes tell you and you also need to have a little faith in your nose. If you smell something funny during a test drive, pay close attention to it. It might be a sign that something is burning or leaking, or maybe even both. Sometimes, a smell, such as burnt oil, will be obvious and easy to identify. Other times, well, not so much. The bottom line here is that when a vehicle is properly working, you shouldn’t be able to smell anything except the little tree hung on the mirror. 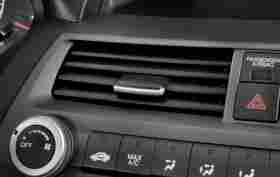 Any type of smell that is unusual or weird should be a big clue that there is something wrong with that particular vehicle… and it is probably in the engine, which is never a good thing. At the minimum, a smell ought to make you look closely under the hood to determine where it is coming from. The tires a car has can tell a story. If the vehicle has been maintained properly, the tires will have been rotated on a regular basis or even swapped out when the road turned icy. These things will ensure that the tire tread wears evenly. 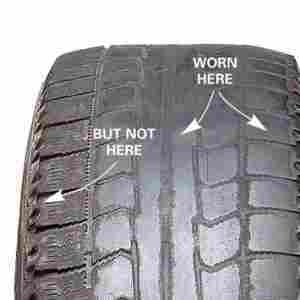 If the wear on the tread isn’t even, or even worse on some of the tires than on the others, it can indicate that rotation of the tires wasn’t something that was done regularly or that they weren’t ever changed out for winter tires. This might be a way for a prospective buyer to tell that the vehicle in question wasn’t cared for properly. In a worst-case scenario, all of that uneven tread wear could mean that the vehicle is in need of a pricey front-end alignment. 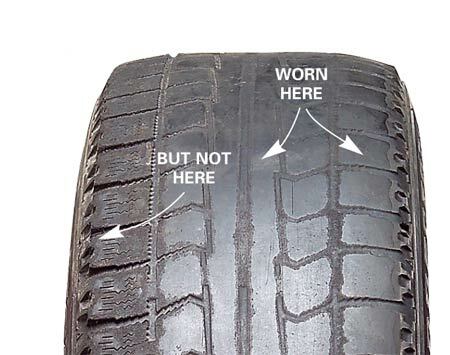 Whatever the case may be, tire tread that is not even isn’t ever a good thing regardless of the age of a vehicle. If you notice that the tread wear isn’t even, you might want to start asking question. Automatic door locks and windows come standard in today’s vehicles. Both of those things are powered by the electrical system in the vehicle. If there are issues with the door locks and windows, it can be indicative of the electrical system being out of whack. If there is a window that won’t go all the way down, or a door doesn’t unlock and lock like it is supposed to, the electrical system might be in need of a repair. While there might only be an issue with one of the doors or windows, things won’t get any better until the problem has been fixed. 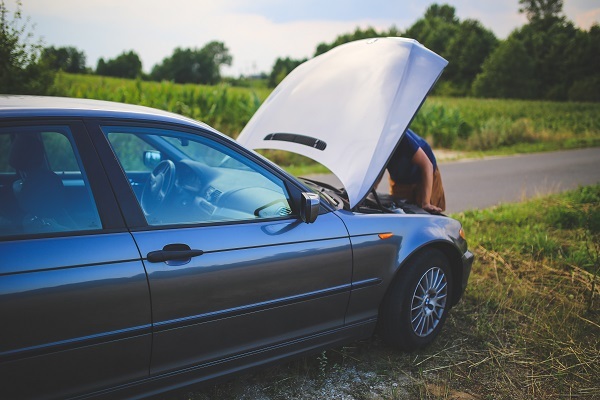 On top of that, you will more than likely need to shell out big bucks to a mechanic who can determine the exact issue in the wiring of the car. Checking the door locks and windows yourself before you sign away your hard-earned money can save you a lot of money and stress in the end. A repair involving the suspension in a vehicle can be one of the most expensive ones to make. This is a system on a vehicle that is vitally important, and it is easily knocked out of line. One quick and easy way for you to test a vehicle’s suspension is known as a “bumper test”. As you are walking around the vehicle, stop at both the front and rear bumper and push down. A vehicle with a good suspension will give you a bounce or two. On the other hand, if it feels a bit stiff and you actually get a little resistance when you push it down, it might be a sign that the suspension on the car is not in the shape it should be and if you purchase the vehicle, you might have costly repairs to deal with. Anytime the bumper on a vehicle is stiff, it is not a good thing. 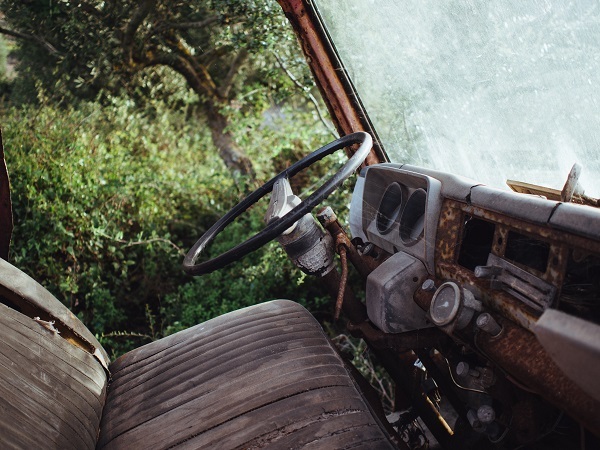 Some wear and tear, and even maybe a little mess might be expected when it comes to a used car. However, if that wear and tear is excessive, your Spidey sense should start tingling. 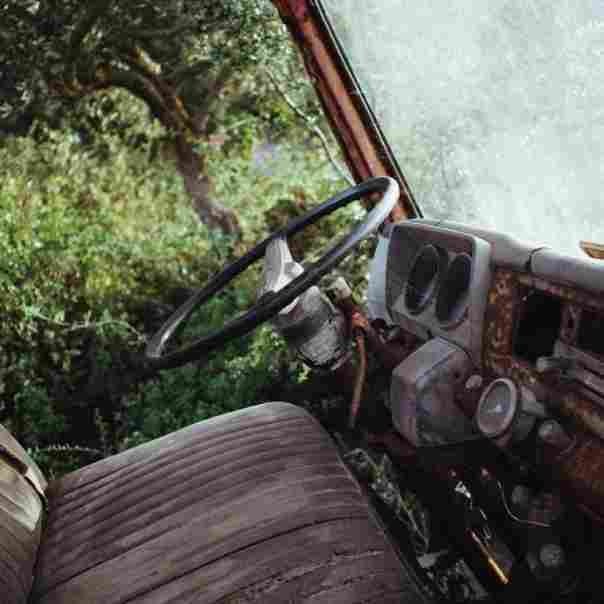 This can include things like head rests that are missing, seat cushions that are ripped and have the stuffing coming through, missing dash knobs, brake and gas pedals that sag, damaged and frayed seat belts, etc. These are all indicators that the vehicle you are taking a look at hasn’t been properly maintained, or even worse, that the owner has abused it. Aside from the expected mess, excessive damage to the interior of a vehicle shows that the entire vehicle wasn’t properly maintained and there are bound to be more issues that you can’t use your eyes to see. You might consider the vehicle’s interior to be just the tip of an iceberg. Remember that when it comes to icebergs, most of the time 90% of it remains unseen below the surface of the water. If the inside of the vehicle looks really bad, you might shudder to think of the condition the engine might be in. It only takes a few seconds to check the oil dipstick in a vehicle to determine the oil level. If that level is low, it might be simply that the person who owned it previously didn’t top up the oil as needed. It might also be that the engine has an oil leak somewhere, and this is a significant issue. You can get a can of oil for around $5 and add it to the vehicle. Wait a few minutes and then check the dipstick again to see if the level of the oil dropped again. If it has, then there is definitely a serious problem. That being said, even if there is not leak in the engine, having a low level of oil isn’t ever something that should be considered a good thing. This is because it shows you that the person who owned the vehicle before you didn’t take proper care of it. It may have even been driven for long periods of time without oil and if this is the case, the engine and components might have some significant wear and tear. Oil in a vehicle is like the blood in our bodies. A fresh, good supply is necessary in order to ensure that the vehicle performs at peak levels. When you take a vehicle out for a test drive, make sure that you take it out on the highway. Once you are there, make sure that you get the speed above 60. As you are accelerating, you might be able to tell if the car starts to pull to one side or the other, or the steering wheel begins to shake once you hit a certain speed. Both of these things can indicate an issue with the alignment of the vehicle. They might also be a sign that the engine has a problem. If the steering wheel shakes or if the vehicle pulls to one side when you drive it on the highway, think twice about buying it. This might be an issue with safety, and the repairs might set you back a few thousand dollars. Shaking and pulling should always be considered to be deal breakers. If you get past all of that with a vehicle and actually take the car in question out for a test drive, pay close attention to the steering wheel. If it feels rickety or loose, it might be indicative of an issue with the steering fluid or the vehicle’s alignment. Additionally, it could be a clue that the vehicle has run the course of its life. The steering in a vehicle should feel controlled and tight while also being responsive. A steering wheel that is loose is indicative of slack, possible fluid issues, and poor alignment – and none of these are a good thing. When all is said and done, you need a vehicle that is both safe and reliable. If a car has a loose steering wheel, it is a signal that you shouldn’t buy it. It just isn’t worth the risk. 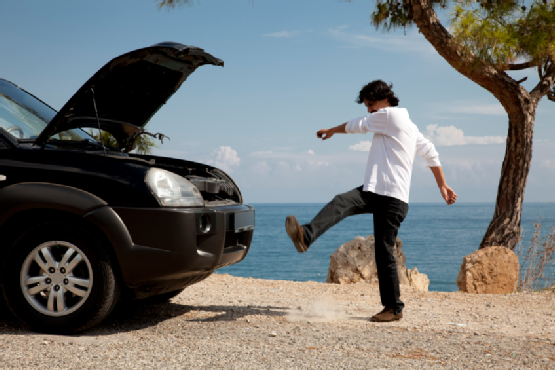 Do yourself and your wallet a favor and look for a car that is more reliable and safer. Now, we get back to using our senses. Your sense of touch and smell are equally as important as your sense of vision. That doesn’t mean we can forget about hearing when it comes to buying a used car. You should keep an ear out for any sounds that are not normal. You should be especially wary of any hissing or knocking sounds that originate from under the hood. 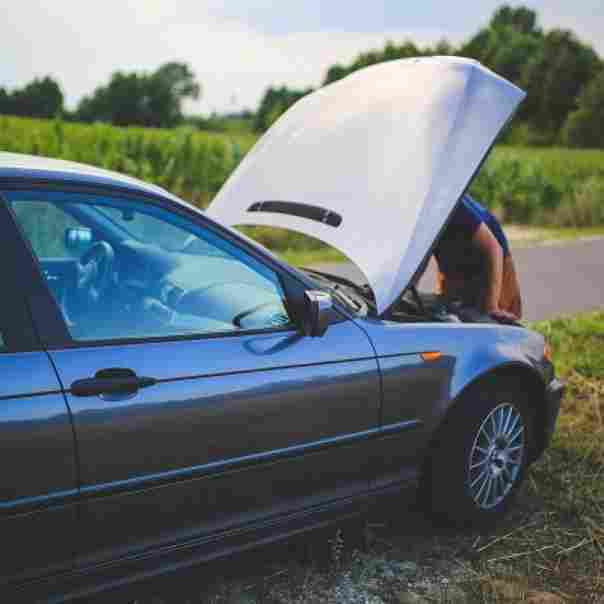 Any knocking sound might be a significant engine issue such as a head gasket or piston that is just about to blow. Hissing might be a fluid that is leaking and hitting the engine. Neither one of these types of sounds is ever a good thing. You should proceed with caution if you detect them. Also, it doesn’t matter if the sounds were evident when you weren’t driving or when you were. Any od noise that comes from the vehicle should make you take your wallet and run. Behavior and body language should always be paid attention to. Especially when it comes to someone who is trying to get you to buy a used car. You might be able to tell just from these things whether or not you can trust them. Pay close attention to things like whether or not they are fully answering your questions, if they seem to be evasive, if they have all of the paperwork for the vehicle, if the can get you a report on the vehicle’s history, if they have maintenance records, etc. All of these things are critical and shouldn’t be difficult to get from a legit seller. If there is an issue with any of these things, you should take it as a sign that you can’t trust that person or the vehicle that they are trying to sell. Just turn, walk away, and don’t look back. It is better to pay attention to these things before you buy a used car than after you have bought it. 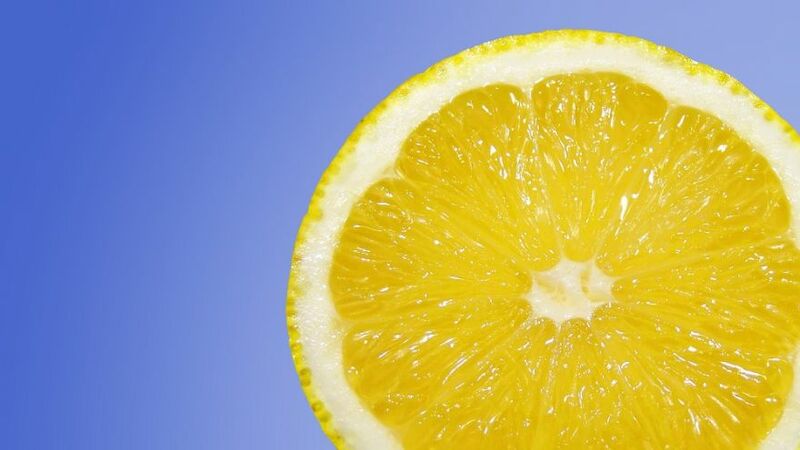 There is still a bit of hope for those who have bought a lemon – most states now have lemon laws that protect the buyer in a situation like this. Accurate Auto Advice– How Will I Know if a Used Car is a Lemon?